The defensive heart and soul of the 1978 Super Bowl Champion Patriot football team, Carl Hume went on to play collegiate and professional football for 13 seasons. Hume and brothers Jack '82 and Fred '84 were raised on Virginia Road, and attended Ripley and Sanborn schools before entering CCHS in the fa ll of 1975. After starring on the Patriot freshman team, Hurne made an immediate impact as a fullback /linebacker / kicker for coach Al Robichauds varsity team in his sophomore season. In the annual Thanksgiving Day game with Bedford, Hume broke open a close contest with a game-saving fumble recovery and 97-yard return for the decisive touchdown. 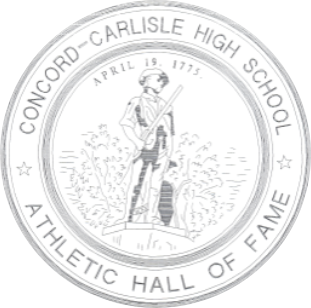 Things came together in 1978, when Hume and the Patriots rolled to a 10-0 regular season, capturing the first Dual County league championship in school history and earning a berth in the Division IIl Super Bowl at Boston University. The Patriots capped their perfect season with a 34-0 shutout win over Shawsheen Tech in front of more than 3,000 fans at Boston University's Nickerson Field . The title remains the first and only Super Bowl title in school history. For his efforts, Hume was a two-time DCl All-Star and defensive MVP. Also honored by the Boston Herald as an AII - Scholastic, Hume was picked for the prestigious Shriner's Game in the spring of 1979. A versatile athlete, Hume was also a two-year letterwinner for coach Brent Clark as a catcher on the baseball diamond. 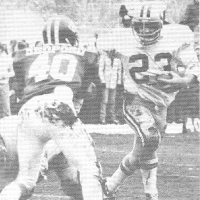 Following graduation, Hume went on to play two seasons of varsity football at UMass-Amherst, and continued his career with the Marlboro Shamrocks of the Eastern Football League. A nine-time league all-star, Hume was a Minor league football All-American on four occasions and was named EFL Defensive MVP three times before retiring in 1993 after 11 seasons of pro football. "Carl was a true all-around football player who could block, tackle and do just about everything else on the field," said Robichaud . "He loved the game and that came through on every play, and is the reason he stayed with football with the Marlboro Shamrocks for so long." A resident of l ancaster, Massachusetts, Hume operated Gold ' s Gym in West Concord for several years in the early 90's and is currently the owner of Peak Roofing and Siding. Carl and his wife Linda are the parents of young sons, Zachary and Kyle. "I remember most the feeling of euphoria in the final two minutes of a game we knew we were going to win," said Hume. " Iwould look around at my friends, all of them exhausted and bandaged, and feel totally euphoric."